Happy first day of spring, Joyous readers! While today, marks the first official day of spring, I know it will still be a while until we're stripping off our jackets and seeing beautiful spring blooms if you live in Toronto or any Northern climate like I do. I still get so excited regardless because this change in season always seems to invite many new opportunities for change, renewal and detoxification (which I'm sure we could all use after months of hibernation). 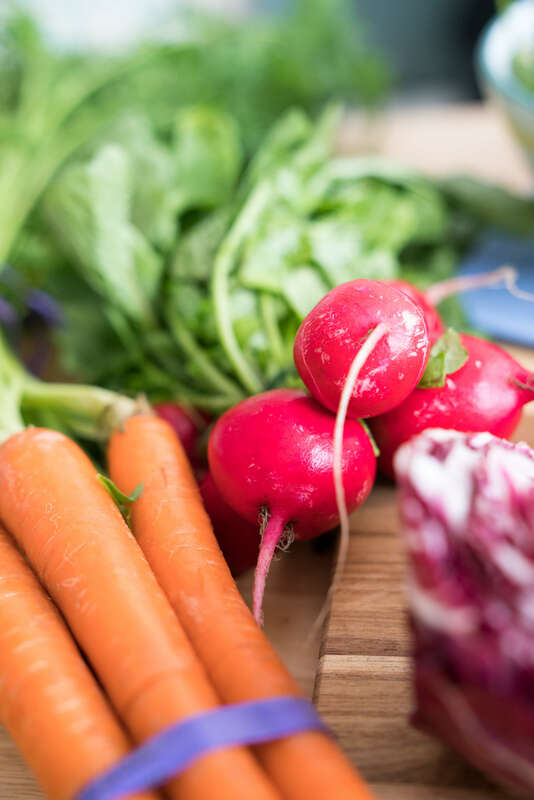 Spring, is the time to put forth more of a focused effort on detoxification due to the increased amounts of light, greater amount of fresh produce available and increased optimism as the warmer temperatures roll on in. Truth be told, I've been in Florida for the past two weeks (coming home soon) so I've had a chance to get an early taste for spring. But I will be home soon enough to enjoy spring flowers in Toronto and that amazing earthy smell that spring showers bring! Walker and I had a blast shooting this recipe and reaped the fruits of our labour by chowing down immediately after. We eat salads like this all year round but it was nice to find a lot of fresh produce at Whole Foods in Florida. No matter where you live we intuitively start to detox around this time of year by taking the opportunity to spring clean our homes and get rid of clutter. 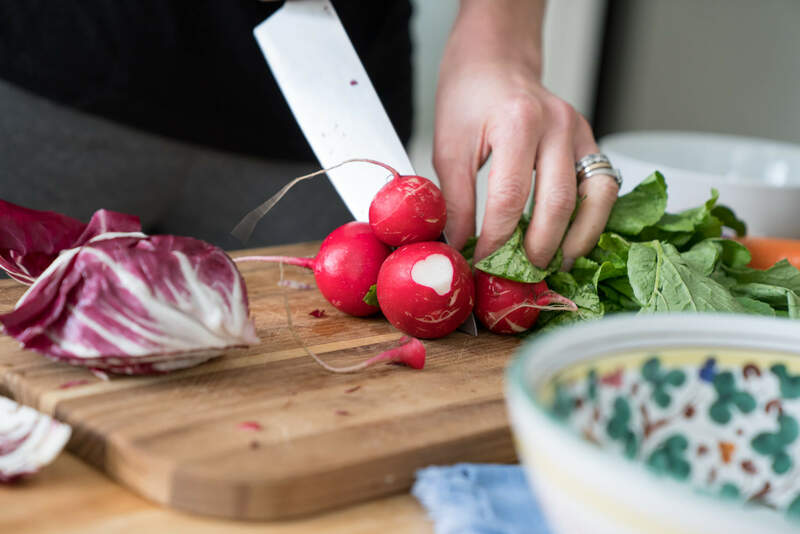 But sometimes we forget that our bodies need a spring cleaning too after being bunked up inside for most of the winter where we experience lower activity levels, less exposure to light, a higher consumption of carbohydrate-heavy foods and greater toxic accumulation as a result. We forget that we are meant to feel amazing and vibrant in our bodies! One of my favourite ways to kick off a spring detox is to emphasize detoxifying and delicious salads in my life! I still enjoy salad during the winter, but I understand it's not everyone's natural go-to. 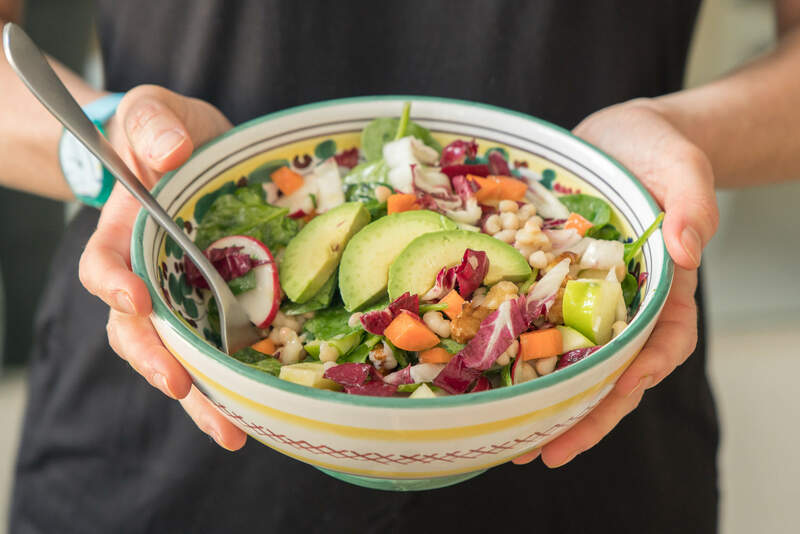 Given how much I love a bright spring salad, I wanted to share one of my favourite recipes with you AND share with you several other spring salad recipes from a number of fellow nutritionist and blogger friends of mine! You can find links to all of their yummy recipes at the end of this post! 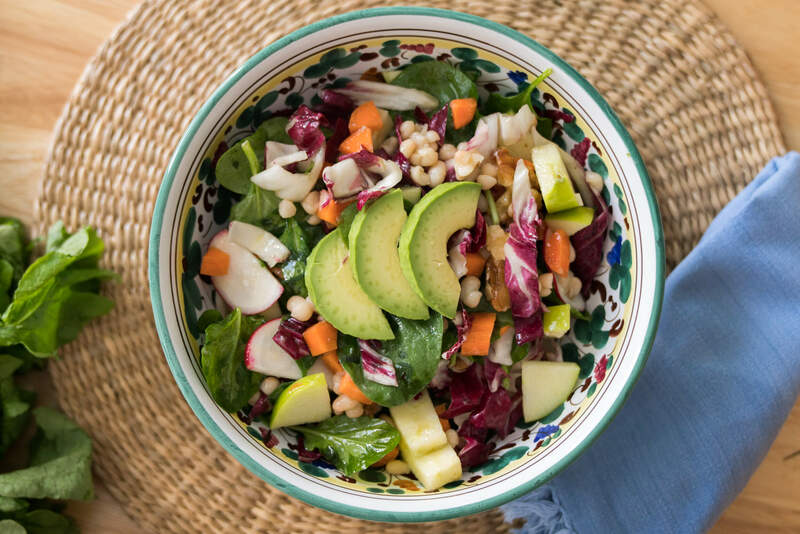 This salad is fresh, crunchy, detoxifying, fulfilling and delicious! 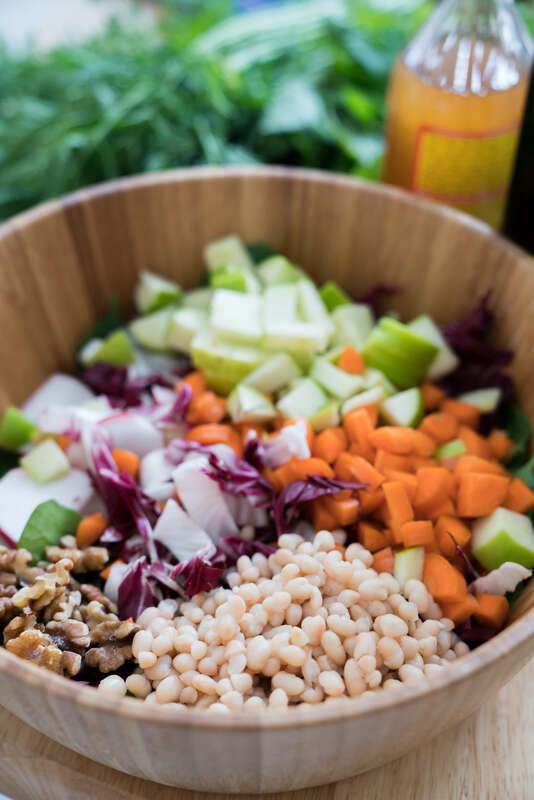 I wanted to share this specific spring salad recipe with you because it contains so many incredible naturally detoxifying ingredients that contain so many health benefits! 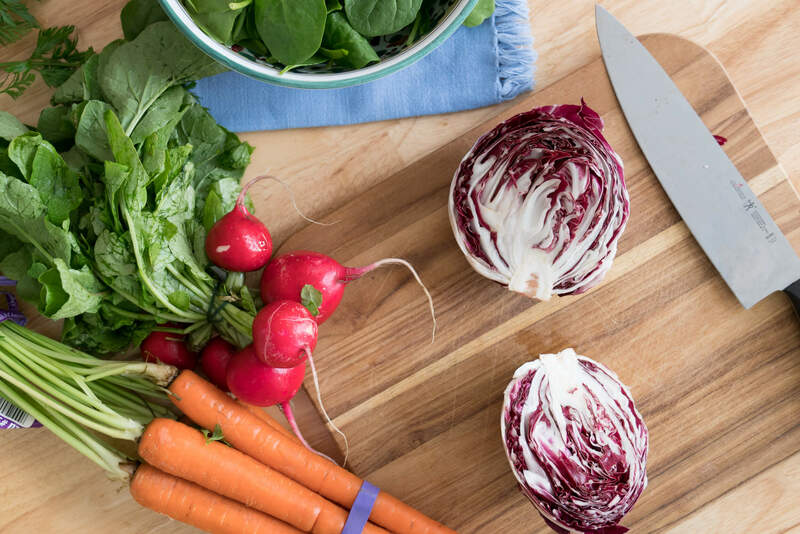 Radishes, carrots and radicchio all have bitter phytonutrients that have detox stimulating properties. I also added apples, spinach, navy beans, avocado and walnuts. Apples are an incredible detox superfood! Apples contain flavonoids that help to stimulate bile production which allows the liver to eliminate toxins through the bile. Apples are also rich in a soluble fibre known as pectin, which is naturally going to keep things moving along the digestive system, but it's also going to help eliminate meticals from the blood stream. 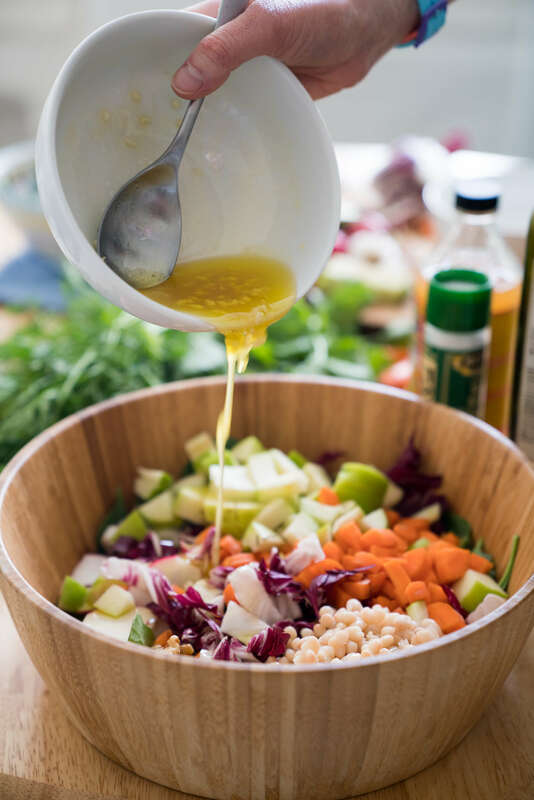 The dressing is a simple apple cider vinegar honey dressing that I make all the time. I love using apple cider vinegar because not only is it detox-friendly but because it's fermented and it helps to nourish our microbiome too. Without further adieu, here's my recipe! In a large bowl, combine all the salad ingredients and toss together excluding avocado. Whisk together dressing ingredients in a small bowl. Give it a taste test. If you like it sweeter, add a touch more honey. If you like more vinegar, add a touch more ACV. Toss dressing with salad and top with avocado. Serve 2 as a main or 4 as a side dish. 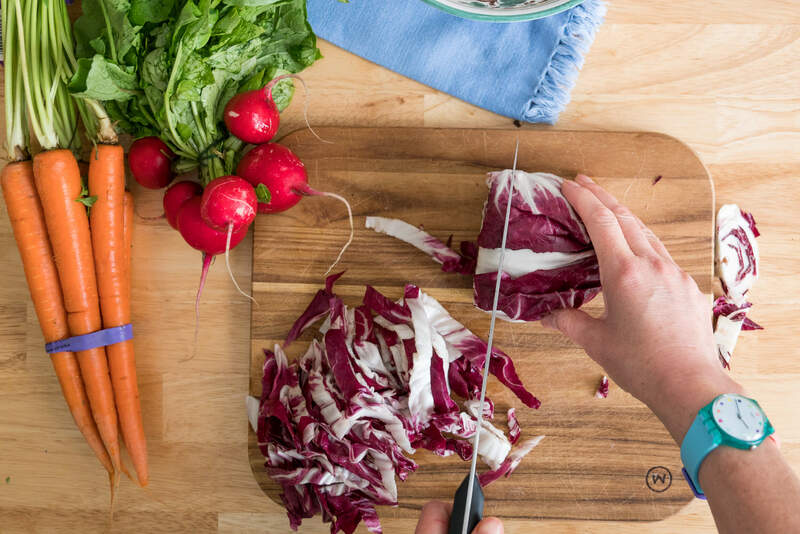 I imagine you'll be on the hunt for more yummy spring-inspired salads after crunching down on this one, so I've put together the list of amazing salad recipes from my nutritonist and blogger friends.